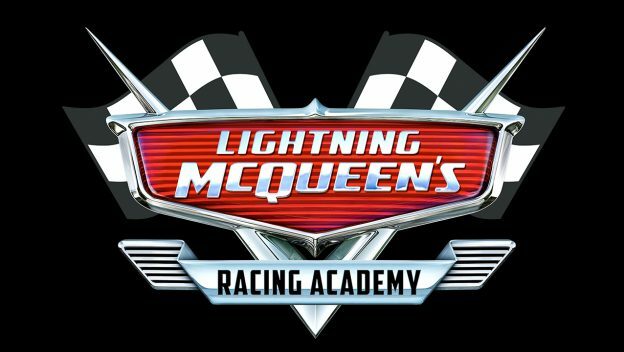 Lightning McQueen’s Racing Academy Opens at Disney’s Hollywood Studios in Early 2019 – Is This Just The Beginning? 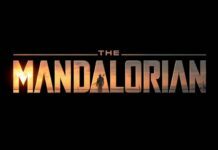 Big news announced today from Disney! 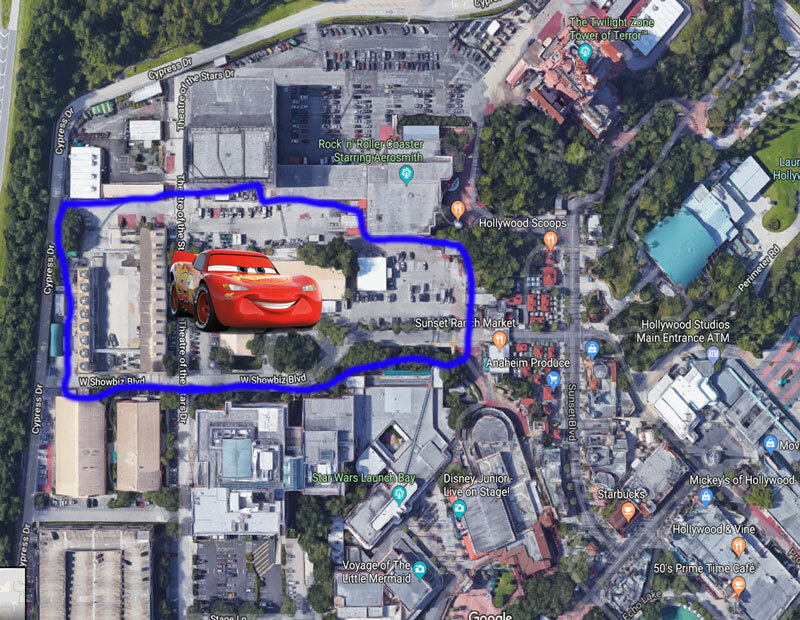 According to Catherine Powell, President, Walt Disney Parks and Resorts – Western Region, a brand new attraction featuring Lightning McQueen will be coming to Disney’s Hollywood Studios in early 2019. The new attraction will be located near Rock ‘n’ Roller Coaster. 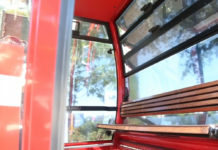 No exact details or exact locations have been announced yet. 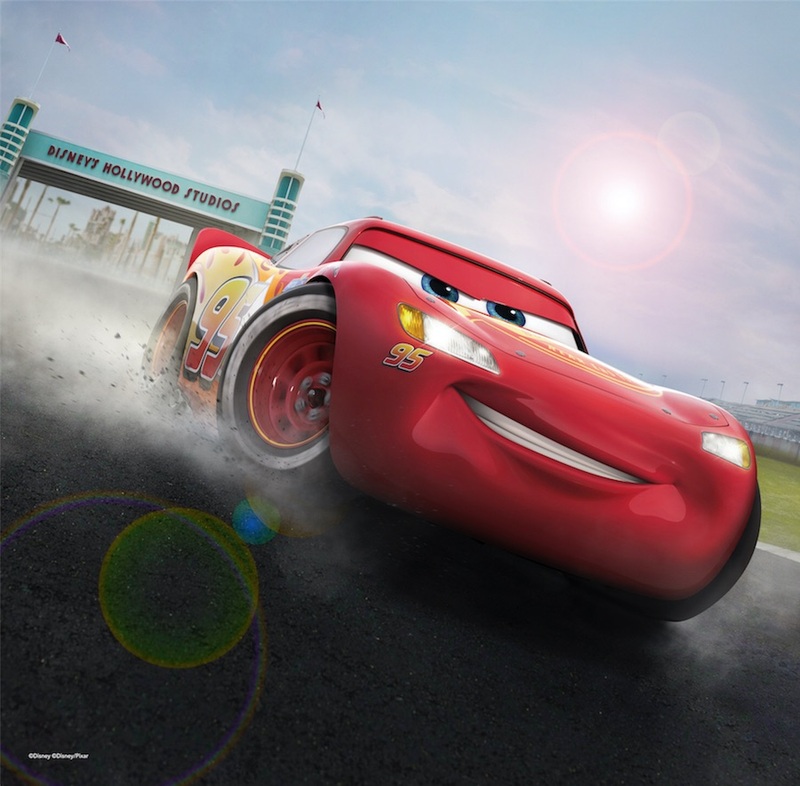 We do know that you will come face-to-face with racing legend Lightning McQueen, and he is excited to showcase what he’s learned over the years with you. Lightning McQueen has discovered throughout his career, things don’t always go according to plan, and he has to think fast to get back on course. Tow Mater, Cruz Ramirez and the gang from Radiator Springs will also be part of the show! Again, nothing has been officially announced as a location, but looking at the available area by the Rock ‘n’ Roller Coaster, it would most likely inhabit the space behind the “Sunset Ranch Market”. Let’s take a closer look at the area between the Rock ‘n’ Roller Coaster and the current “Star Wars Launch Bay”. Just for fun, let’s take it one step further and imagine the possibilities that Disney may be opening up. 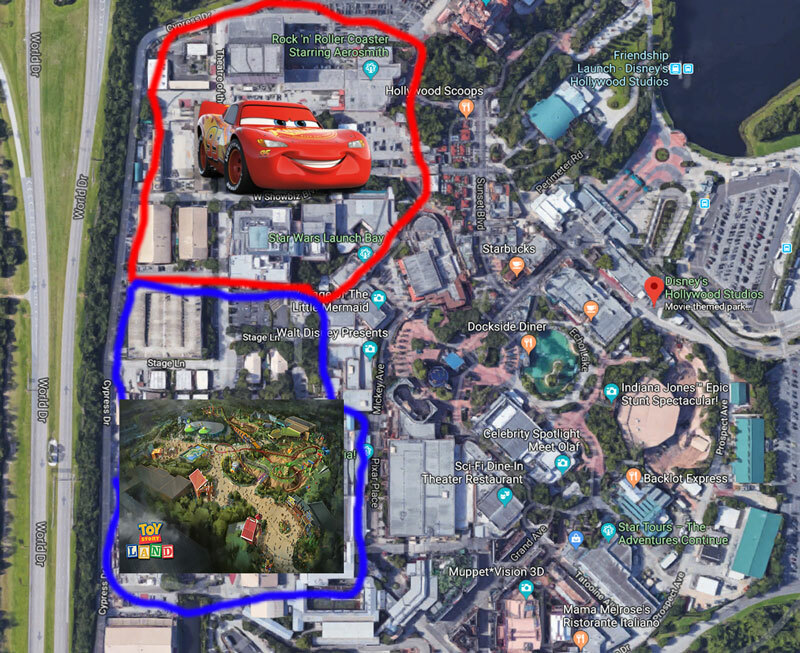 The footprint is there to work from Toy Story Land and incorporate more Pixar properties through the entire area. 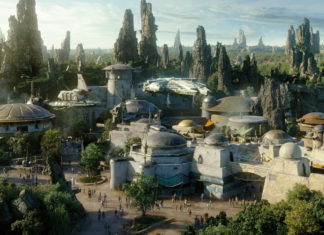 The Star Wars Launch Bay could be re-purposed into a Pixar Theme (like Monsters Inc) and imagine the Rock ‘n’ Roller Coaster transforming into a new Incredicoaster. This could become a very large Pixar Land. We can dream! Make sure to Follow Passport to the Parks for more details.